Confession: I’m really struggling with the don’t-buy-clothes rule. I didn’t realize I’m so interested in clothing, but Decatur has the cutest boutiques. I walk past them every day and read about them, too. They’re hard to resist. One thing that’s pulling me through is a Scoutmob coupon for one of my favorite local stores, Squash Blossom. That means any time between now and September 14, I can get 50% off. I’m saving this for when I collapse and decide to spend on something cute for Rio. But I digress. This post is actually about saving money on clothing, rather than spending it. For the first time ever, I made cut-off jeans. Yes, first time. I thought it would be difficult. It scared me to cut into solid fabric that I was so used to seeing. Questions raced through my mind: What if I need these jeans, these particular jeans? (Ya know, because I don’t have enough pants already.) What if I get cold? What if a snowstorm blows through my house and these are the only pants left that I can wear? Weren’t these jeans made into pants for a reason? In fact, I love them so much I wear them every weekend. Yeah, that’s saving. haha. maybe buying you a drink will make up for it? But only if we wear our shorts at the same time and look like twins. Next step (should you find yourself in the midst of an unprecedented heat wave and need of even shorter shorts)– experiment with bleach. 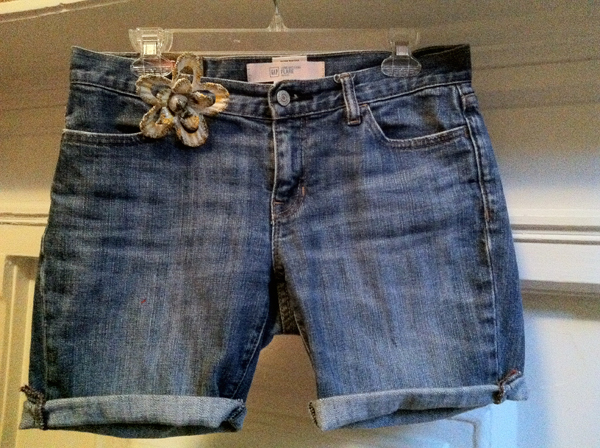 Step after that– make a skirt using old jeans. This requires some sewing, but minimally so. 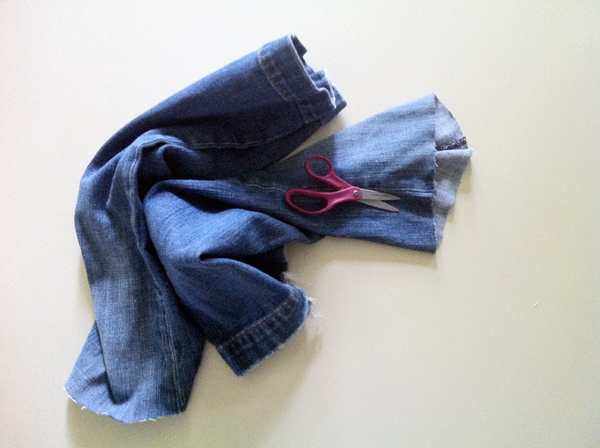 Making a cut-off jean skirt is a great (and easy) first step into making your own fashion. Keep up the good work not buying clothes and save that money to get your baggy beach pants IN Rio! awesome ideas! you are the one who inspired me to make cut-offs in the first place. I watched you do it in the kitchen one time and I was in awe.